Today the term “Hen Party” automatically conjures up images of drunken debauchery, naked butlers and over the top fancy dress. Although this is still the case for many hen events, there has been an increasing shift towards a more chilled environment, with the onus more on a female bonding session – an opportunity to catch up with old pals and talk about childhood or those fun college days. 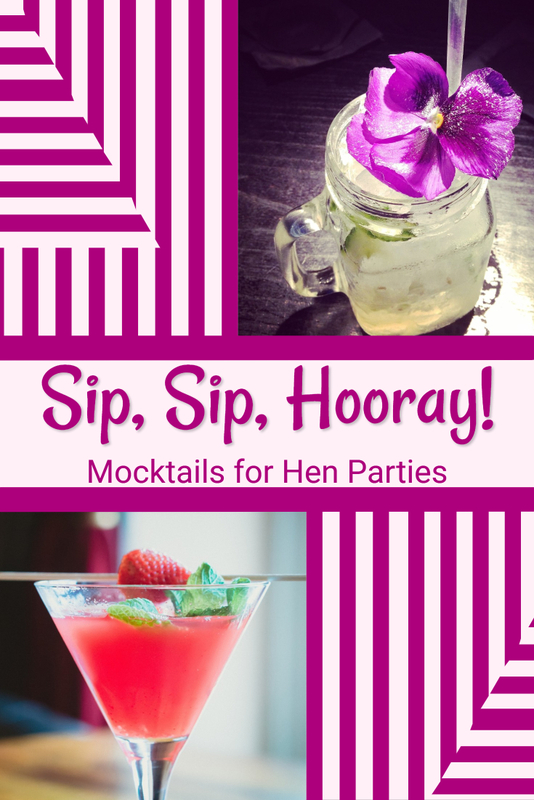 Although alcohol is often the pivot around everything else revolves, the steady recent increase of people who have decided to abstain from alcohol has seen hen organisers seeking an alternative range of beverages, with little or no alcohol content. Scottish based company, Social and Cocktail Events, which offers cocktail packages for Hen Parties, Wedding Receptions, Birthdays and Office Parties has seen a big increase in the demand for non-alcoholic cocktails and as such, last year decided to create a bespoke menu of non-alcoholic cocktails, also known as mocktails, to cater for this growing market. For a taste explosion and ultimate refreshment, this is our very favorite “mocktail” around. • Muddle the strawberries in a cocktail shaker. • Add the elderflower cordial, lemon, cranberry juice, ginger syrup, and apple juices. • Shake hard, and then strain over ice cubes into a highball glass. • Garnish with a slice of lemon and a small strawberry. A tasty and refreshing non-alcoholic cocktail, which will especially appeal to kiwi fruit fans. • Muddle the kiwi and simple syrup in a mixing glass. • Add ice, lemonade and limeade. • Strain into a highball glass filled with ice. • Garnish with lime wedge. 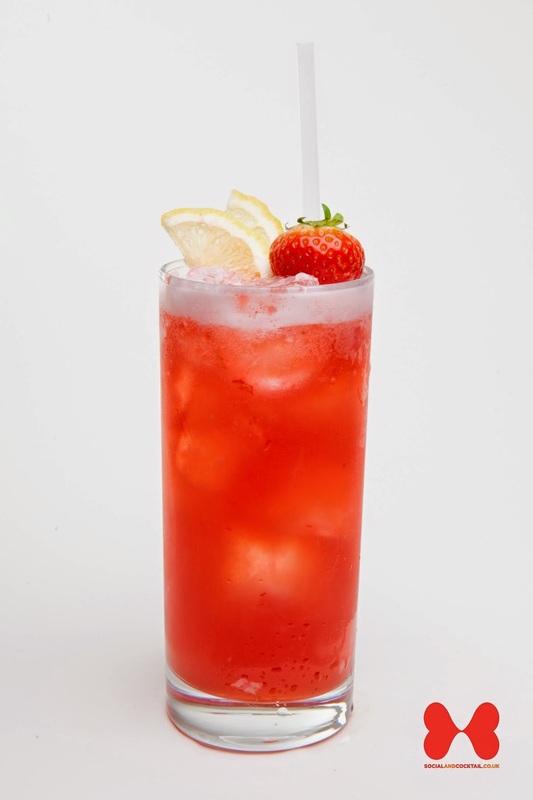 A fun mocktail which looks fantastic and has a refreshing taste. 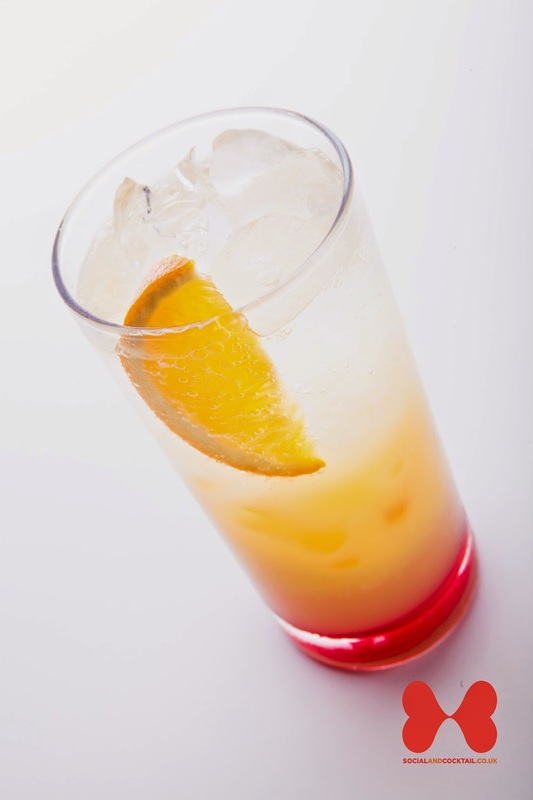 • Pour the lemonade, orange juice and pineapple juice into glass over ice. • Add the grenadine syrup, which will sink to the bottom. A fantastic tropical mocktail with the ginger ale bringing the whole concoction to life. • Pour the juices into a cocktail shaker with ice cubes. • Shake well for 10 – 15 seconds. • Strain into a chilled Collins glass filled with ice. • Garnish with slices of pineapple and orange. 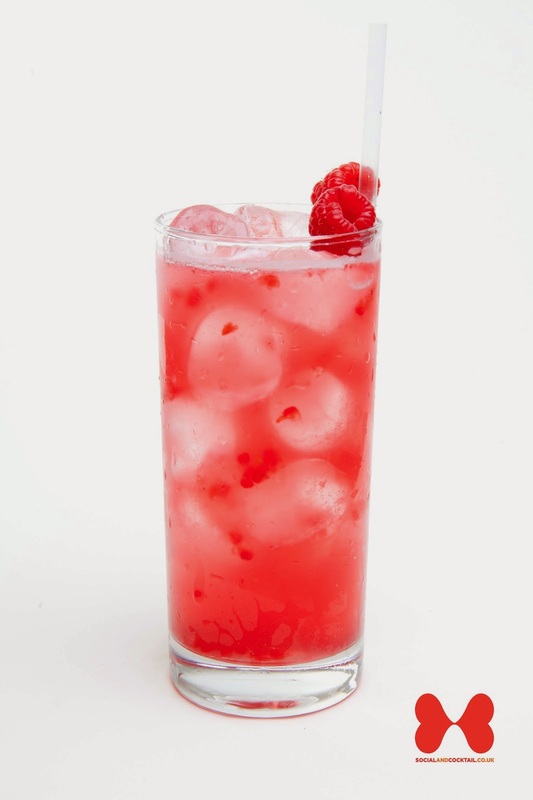 A non-alcoholic twist on the classic Moscow Mule cocktail, the sweetness of the fresh raspberries meld perfectly with the spiciness of the ginger beer and the sourness of the lime. • Muddle the raspberries in a cocktail shaker. • Add lime, sugar syrup and apple juice and shake with cubed ice for about 15 seconds. • Top up with ginger beer and garnish with a raspberry.